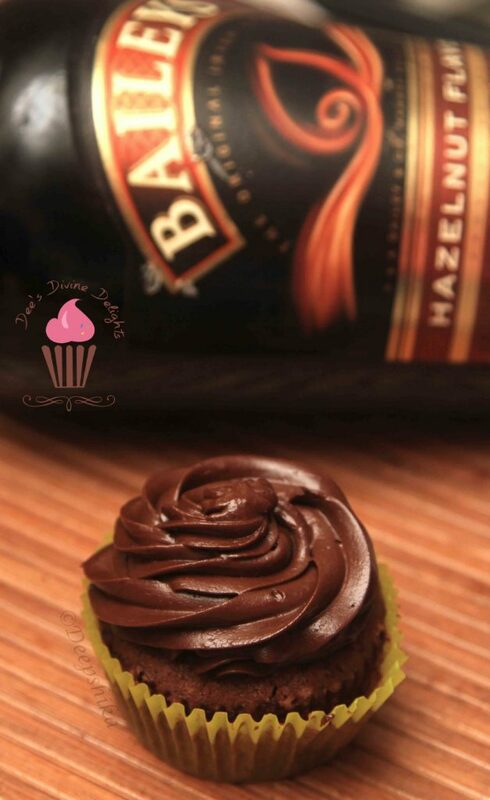 There is a bottle of Baileys Irish Cream sitting in our fridge for quite a while now and I decided to go with that and ended up making Baileys Chocolate Cupcakes frosted with Baileys Choco Ganache. 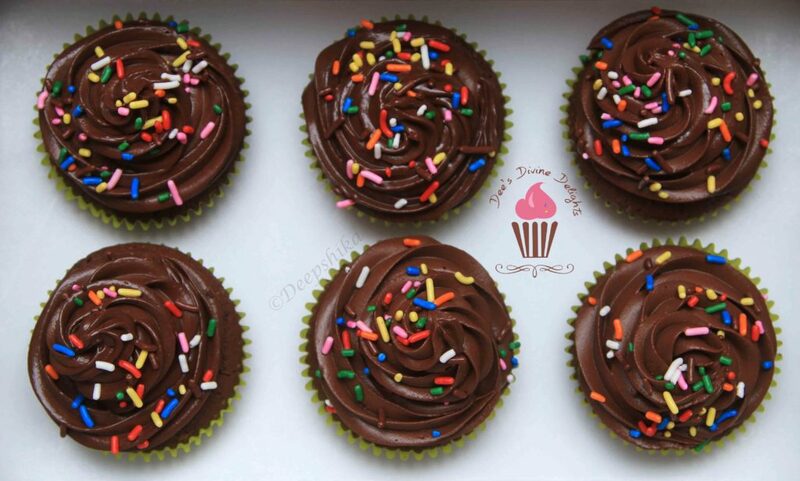 Coming to the recipe, the cupcakes alone are totally adapted from the wonderful Sprinkle Bakes blog. She has sooo many great recipes and all her pics are soooo drool-worthy!! Go check her blog out, you won’t be able to stop ogling. For the ganache, I just looked around at a few recipes and just winged it. It was totally yummy!! Preheat Oven to 170*C and line your Cupcake tins with liners. In a bowl, combine Baileys, Egg and Vanilla extract and beat thoroughly with a whisk. In another bowl, whisk together all the dry ingredients. Add the butter and Baileys mixture to this and beat on low speed until the dry ingredients are moistened. Add the brewed coffee/ decoction and beat until well combined. Scrape the sides & bottom of the bowl with a spatula and beat well again. 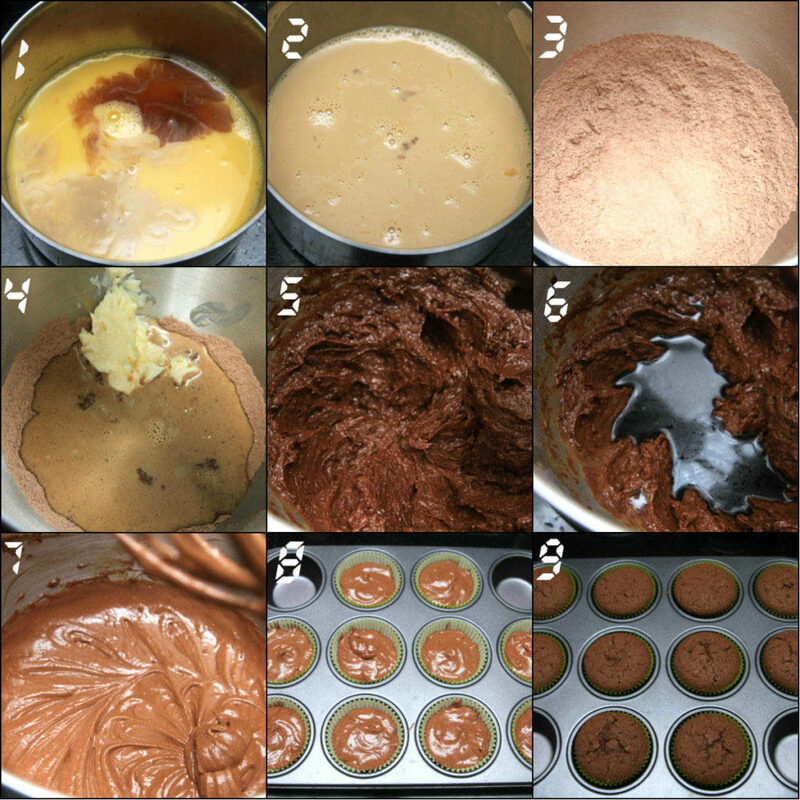 Fill the cupcake liners with the batter, about 3/4th full. 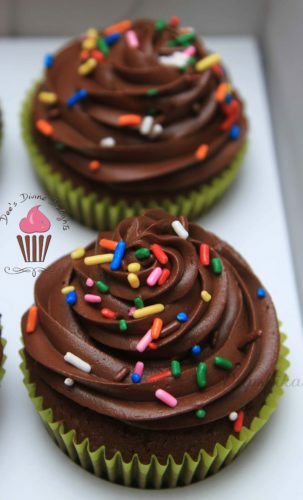 This recipe yields 10 cupcakes. Bake for 22-27 mins (depends on your oven, so start checking from 22 mins) or until a tooth pick inserted in the centre, comes out clean. Finely chop the Chocolate and place it in a bowl. In a saucepan, combine the cream & salt and bring it just to a boil, stop when you see bubbles on the sides. Pour the hot cream over the chocolate and wait for a min. Add the butter and stir everything together with a wire whisk. 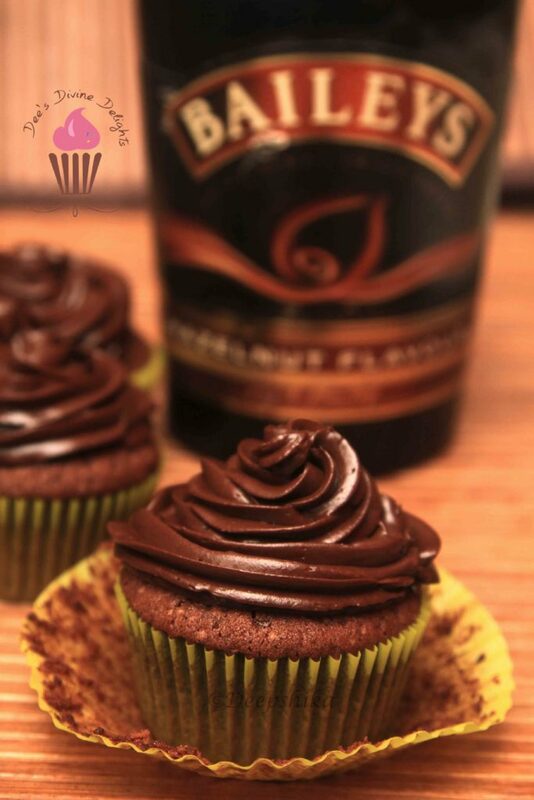 Once everything comes together and is smooth and shiny, add the baileys and whisk again until thoroughly combined. Cling-wrap the bowl and let it come to room temp, then refrigerate until needed. 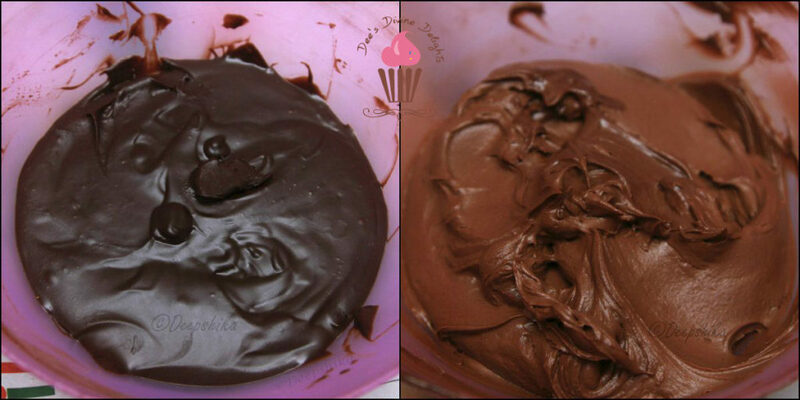 -Remove the ganache from the fridge (let it sit out and soften a bit if it has become very hard) and beat the ganache with a beater on med-hi speed for about 3 mins or until the ganache has lightened in color and looks fluffy. 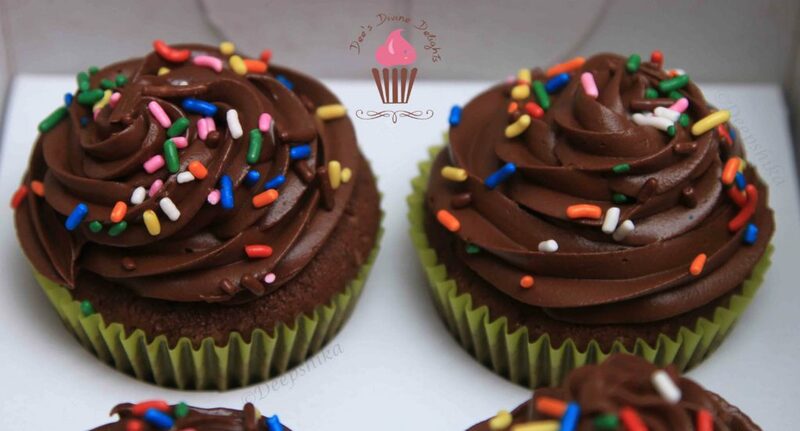 -Frost the cupcakes as you please. I have frosted it with swirls using the Wilton 1M tip.